Meatballs or Sausage? Why choose? 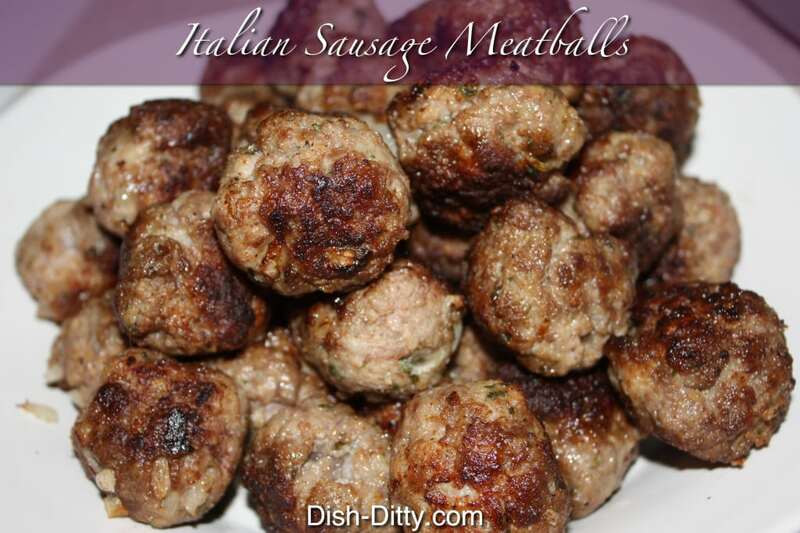 Have both with this delicious Italian Sausage Meatballs recipe. Serve with Cherri's Quick Spaghetti Sauce Recipe. Mix all ingredients together EXCEPT OIL. 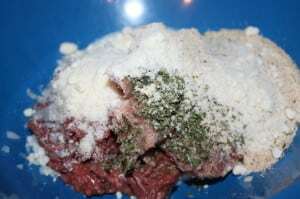 Combine the ingredients well and form into meatballs. I just put the meatballs into the same bowl I've mixed the meat and just scoot them onto the side as they are made. But you can also get a cookie sheet covered in wax paper to lay out the meatballs. Put together a plate with paper towels to use when you remove the meatballs from the oil. In large skillet, heat 2 Tbl of oil on medium heat. The oil should be hot enough to sizzle but not hot enough to brown the meatball too quickly. 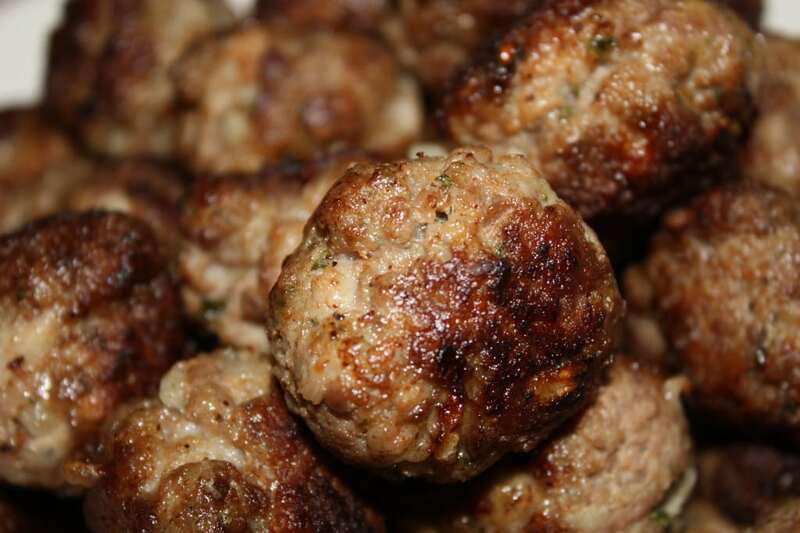 You will be cooking the meatballs in batches. 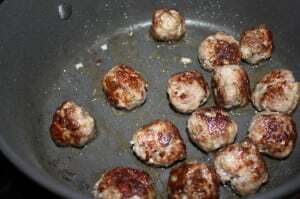 When oil is hot, add some of the meatballs to the pan. Do not overcrowd - make sure the meatballs have enough room to cook and are not touching. Continue to cook the meatballs by turning them regularly so that they are cooked evenly. You should not see any pink on any sides of the meatballs and the meatballs should be browned. 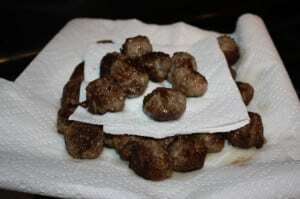 Remove cooked meatballs and place them on the paper towel to remove excess oil. Continue the above step, adding oil to the pan between batches, until all the meatballs are cooked. Serve meatballs by themselves as an appetizer or with your favorite spaghetti. No Replies to "Italian Sausage Meatballs Recipe"